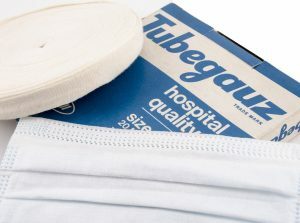 Applications in medical textiles of knitted materials include wound dressings, the cuffs & cords of surgical gowns and surgical masks. Some are used in applications involving tissue contact or regeneration or surgical implantation. The porosity inherent in knits makes them ideal for such applications. In addition, because a knit is composed of inter-meshed loops, they are highly elastic and more resilient than other textile structures. This is important in applications where fabric distortion cannot be tolerated. 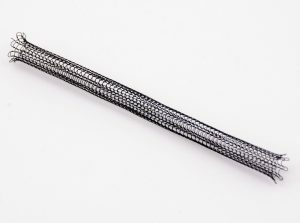 In knitting, a single end of yarn can be used to produce the tubular or flat knit material. In addition, knitting does not require that the yarn be wound onto special beams or bobbins. Both of these points are important when the application requires the use of very unique and expensive fibers. If you require a way to form a yarn(s) into a tubular or flat material, but are not sure if a knit structure is what you need, please select Research & Development Services to learn how LAMB can assist you in this area.